India and Spain signed an agreement on 'Mutual Protection of Classified Information' to provide the framework for enhanced bilateral cooperation in areas of defence research, development and technology cooperation, by the visiting Spanish Defence Minister Mr Pedro Moremes and Indian defence minister Shri Manohar Parrikar on 04 Mar 15. This is the primary pact, a country agrees to before embarking on deeper talks on defence cooperation. India and Spain had also signed a Memorandum of Understanding in Oct 12 to encourage collaboration between their defence industries and exchange of personnel. The Spanish delegation was keen to participate in the `Make in India` initiative of the government in the defence sector and agreed to work on enhancing bilateral defence cooperation. Spanish investment in India is over $1.3 billion. Spain was one of the four partner countries offering the Eurofighter combat aircraft to India for its tender for 126 fighter jets, which was shortlisted along the Rafael. Many Spanish firms have shown an interest in selling high-tech weaponry to India. Spanish defence companies such as Indra is already engaged with Indian armed forces in areas of radar and communication. Spanish firm Navantia is planning to offer its S-80 diesel electric submarine for the Indian Navy's Project-75I, under which it plans to procure six large conventional submarines at a cost of more than Rs. 50,000 crore. Spain has over the years acquired expertise in various fields of the defence sector and shown interest in participating in the Indian Project-75I to build six conventional submarines. 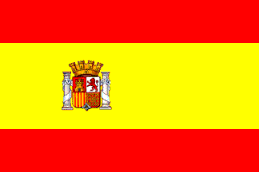 Spanish defence exports mainly consist of naval defence systems such as ships. During the review period, ships accounted for 70% of Spanish defence exports, followed by aircraft, sensors and artillery, with shares of 27%, 2% and 1% respectively. The four major defence industries of Spain are shipbuilder Navantia, land systems' manufacturer GDSBS, aerospace giant EADS and IT champion Indra account for nearly 80% of the sector turnover. They excel in military airlifters and tankers, specialist ships, combat land vehicles, and C4I systems. The Spanish defence industry accounted for some 850 companies in 2010 with a joint turnover of €3.6 billion, 40% of which is exports. Design and construction of hi-tech military vessels and civil vessels. Design and manufacturing of control and combat systems. Overhauls and alterations of military and civil vessels. Support to the Service Life of its vessels and systems. Navantia offers integral solutions to its clients over any naval program, delivering fully operational vessels, and the required support throughout the service life of the product. It devotes over 7% of its Revenues to R&D. They have established agreements with technological and strategy partners (Lockheed Martin, Indra, Thales, MTU, etc.) as well as with local partners (joint ventures with local shipyards to build vessels in other countries) and has developed naval programs in over 19 countries, and currently has offices in Australia, India, Malaysia and Venezuela. In October 2005, Navantia, as part of a consortium with the French company DCNS, and the French company Armaris entered into a Technology Transfer agreement on three Scorpene submarines in India. They are involved in the tenders like: LPD, Project-75I AIP submarines and Fleet Support Ships (FSS). Notably, Navantia has a MoU with India's Larsen & Toubro (L&T), which is already working with the Indian Navy in heavy engineering and are working jointly on building four LPDs like INS Jalashwa for amphibious military operations and disaster relief for the Indian Navy. The Madrid-headquartered military transport aircraft division of EADS (Airbus Military) manufactures a comprehensive family of airlifters, with over 1,000 aircraft sold to 130 customers. Airbus Military leads on the A400M programme as well as for the military tanker transport (MRTT) derivative of the A330 and other civil airbus platforms, plus the light and medium-sized military transport aircraft variants of the C-295, CN-235 and C212. While Spain helds a 5.5% stake in EADS, the contribution of its national industry in the new programmes is increasing. Indra has a joint venture with India's Bharat Electronics Ltd. (BEL) for producing sophisticated telecommunications systems and radars for the Indian Navy. The company has recently opened an office in New Delhi. As a member of NATO, Spain joined in the planning of several coproduction projects with other West European countries. The relatively small scale of Spain's own military orders spurred the Spanish armaments industry to develop its export potential and to increase its share of the international arms market. By 1987 it had risen to eighth rank as a world exporter, with a number of clients in the Middle East and in Latin America.